I saw it and instantly wanted it. Polaroid One Step 600 Instant Camera. I entered a random giveaway here on Wild and Precious. Monday I will find out if I was lucky. 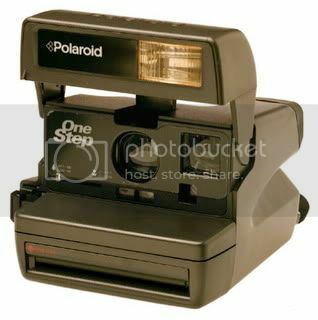 If not, amazon.com here I come, polaroid you're only twenty bucks. Too bad the films not. On another side note, I don't know why but I really want a sewing machine. I'm all of a sudden in a very crafty mood. I want to go and look through fabric and make blankets. Please don't ask why, I just do. First I just need to finish my "summer project." You'll see what it is when I finally finish it, and make a post about it.